As a Brit I am genetically programmed to talk about the weather. This makes living in a place where it’s warm, hot or hotter, a little challenging, but believe me, where two or more British people are gathered together it’s 10 to 1 odds that the climatic variations of the day open the conversation. So bear with me when I say that the weather in Dubai this year has been the best I’ve ever remembered. From about mid-October it’s been like a beautiful summer’s day in England (remember those?) every day; we’ve had some rain (always exciting), a freshness in the air, and week after week of balmy days and evenings perfect for sitting out in the garden. All good things come to an end eventually and the rise in temperature always comes as a blow; I scurry out with the dogs at 6am and I’m glad to reach the air-conditioned sanctuary of my house an hour later. My summer planning assumes a focus and urgency when previously it limped along. I’m dreaming of walking in the Cotswolds and on Dartmoor. We’re revisiting Switzerland and tickets for the Paleo festival are booked (for music not caveman’s food), another trip to the beautiful vineyards in Lavaux is in my mind and perhaps another jaunt to the Jura. 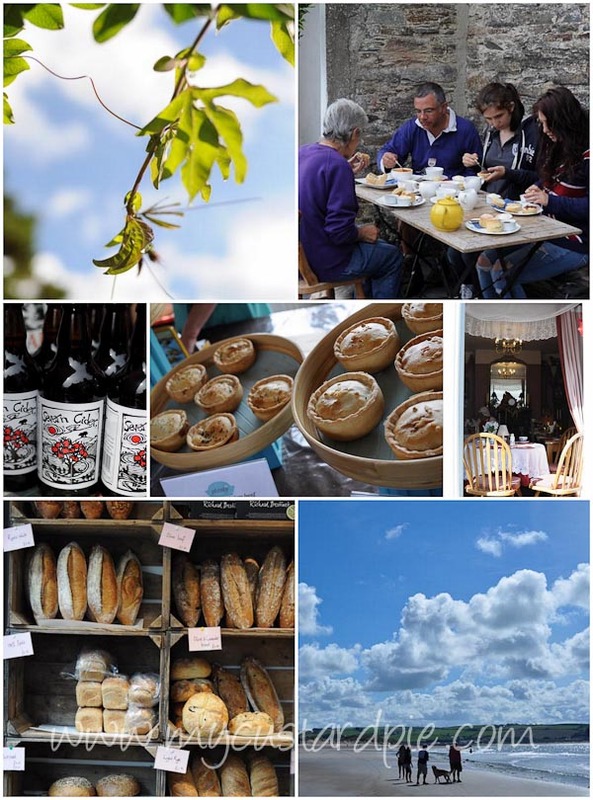 Back in the Gloucestershire, there is the Stroud Farmers’ Market to browse, Hobbs House Bakery in Nailsworth to drop in on and a summer’s evening (or Sunday lunch) at The Horse and Groom at Bourton on the Hill a ‘must-do’. We’ll picnic on the green at Frampton on Severn before going to Giffords Circus. The start of July takes me to London to Food Blogger Connect and as well as meeting many dear friends, the lure of the street food stalls is strong. While Dubai supermarket shelves are lined with most ingredients, my first meal on English soil will include Jersey Royal potatoes and English watercress. I’ll be seeking out really good sausages (like the ones made of Gloucester Old Spot grilled in the open air and stuffed hot into a roll at Stroud Farmers’ Market), perusing cheese shops (The Fine Cheese Co in Bath) and relishing British strawberries and raspberries. The Tavistock Real Cheese Fair is at the hub of our South-West foodie plans (read why here and here). Another visit to Riverford is on the cards, I’ll be seeking out the best crab sandwich I can find (the crab hut in Cadgwith remains unbeaten) and KP will continue his search for the perfect pasty. Lunch at the River Cottage Canteen overlooking the estuary in The Royal William Yard in Plymouth is a must, the River Exe cafe is begging to be explored and there’s a voucher for Manna from Devon Cooking School to be redeemed. Our National Trust membership card will be flexed, for the tea rooms and restaurants which use local produce as much as the stately homes and landscapes. There is nothing nicer than a cream tea with proper clotted cream after a long walk in the countryside. A long term dream is to walk the entire South-West coast path (in stages of course as it is 630 miles long). The stretch between Polzeath and Rock is one I already know well, made more attractive by lunch at No 1 Rock Road. The vineyards of England and Wales are top of my ‘to drink at’ lists (Sharpham was a joy), with half a pint of locally brewed ale sipped at a country pub close second. Camel Valley and Three Choirs are two places I’d like to explore. On my shopping/tasting list are wines from Portugal including, hopefully, a couple from the top 50 as selected by Julia Harding, and gin (keen to taste Sipsmith, The Botanist and revisit Bathtub). And of course, there’s the joy of seeing family and friends who we miss so much for most of the year. So I’ve dragged my bag from the under-the-stairs cupboard and started getting things ready to take with me. For summer in the UK this includes rain coats, walking boots, thick socks and a fleece. Fingers crossed I’ll need my sun hat too. What are you looking forward to this summer? Any recommendations for places we should visit (especially in Devon, Cornwall, Gloucestershire or near Geneva)? Exciting! can I be packed in your bag too? Bookmarking for when I get there. This summer I am hopefully doing US tour, however looking out for Slow USA instead of the other regulars and looking forward to Napa tasting tour 🙂 Enjoy and will be looking out to reading your post-vacation posts. So many things left to do! We also talk a lot about the weather here in Switzerland… Lovely clicks and holidays. I’d love to visit Devon. When we were in Switzerland last year everyone was complaining that the summer wasn’t as beautiful as usual! Glad you liked that one. 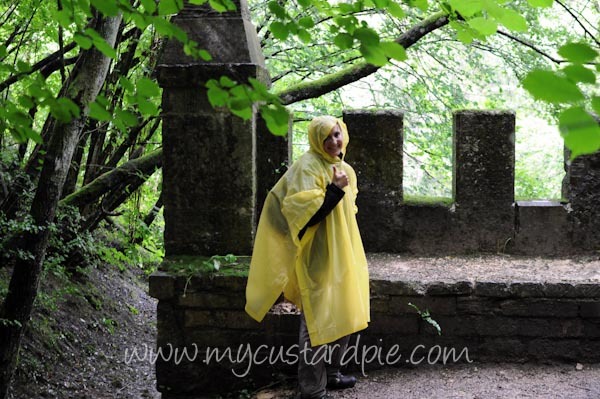 My Mother has been trying to foist that poncho off on us for years – it kept my back pack dry in torrential rain but did make me look like a big yellow hunch back! At the risk of being struck down by hoards of Daylesford fans, I have to admit I didn’t like it at all. Rolls Royces in the car park, menu supposed to be seasonal but where were the lovely vegetables? (mixed leaves) and very over salty. Impossible just to stop for a drink. Expensive. Eeek! What a glorious summer, I love your plans. Camel valley sparkling wine so lovely. So many of your Gloucestershire choices are my favourites too, we went to the Horse & Groom a few weeks ago, food still fab & they now have chickens in the garden. Love that you’ve included Hidcote gardens, just across the fields from us. If you haven’t already been, Chastleton (near Stow on the Wold) is another NT treasure, not overly restored, fascinating place & the garden/surroundings has a real stepping back in time rural feel. 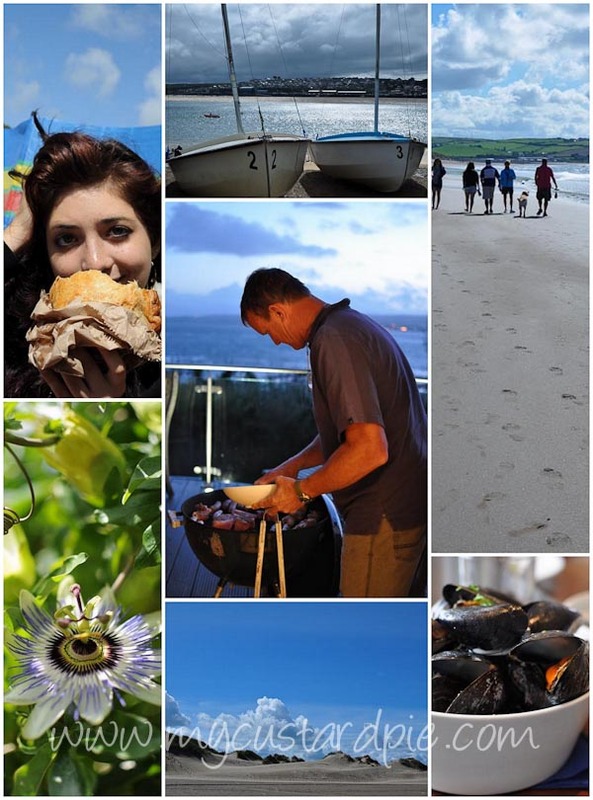 For food in Devon, have you been to the Hive beach café (Devon/Dorset border) great seafood, very relaxed, overlooking very English pebby beach? Fantastic pictures & memories & plans for the future! I am a real anglofile & so are my parents! 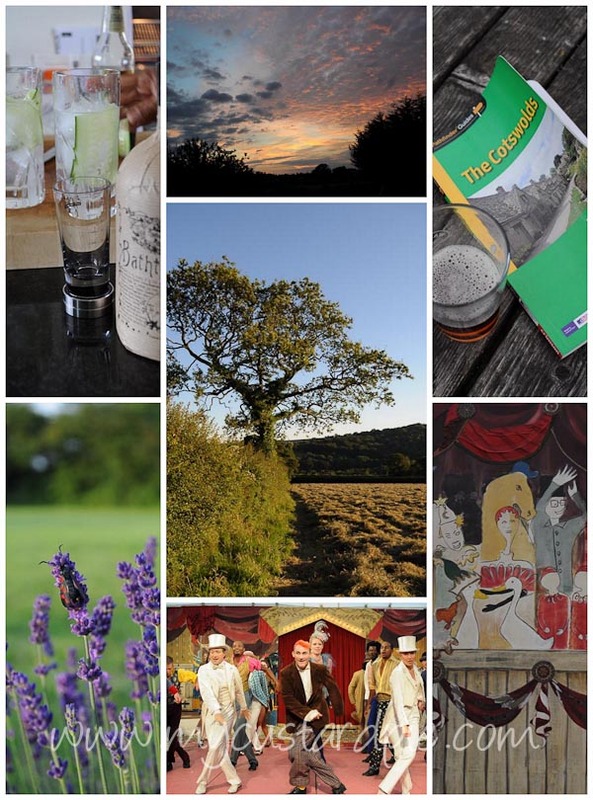 I have been to Devon, Dartmoor, The Cotswolds many times & love, love all that you love too! 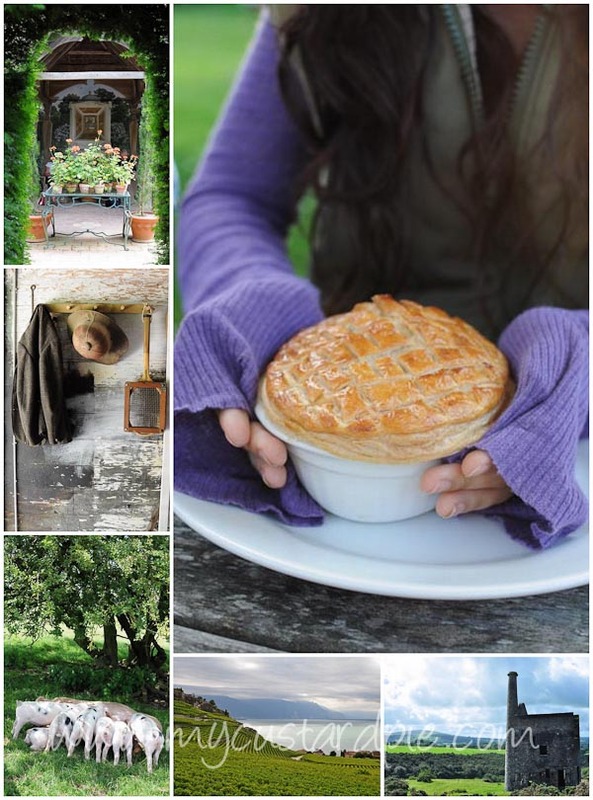 I love your cool pics & they bring back to me so many memories from our Holidays in England, Wales, etc! Lucky you!!! xxxx Lif is good & beautiful, hey?!! Such beautiful pictures. Have a lovely summer… the way you have planned and also with some unexpected great surprises! I’ve never been to the UK, so all your posts does build up my desire to visit UK! This new side bar is looking very nice… I’m probably going to be a bit ‘inspired’ with the Instagram with me part. makes me want to crawl out of the German under the stairs closet and join you! FBC awaits – see you there? The perfect temperature for everyone is hard to find. I think as soon as you find it there is a little of the ‘grass is always greener’ syndrome and you crave for something a bit different. As soon as it gets warm here people moan and want it to cool down. We are chasing our perfect climate this year by heading to Tenerife (The Island of Eternal Spring) as our ideal temperature is a late Spring day – about 22 degrees. I can just imagine the anticipation and excitement for you planning all the places you are going to visit on your UK visit this year. We’ve been lucky to have that temperature for many months now so I can’t complain. Have a wonderful time in Tenerife – I visited on a girls holiday many moons ago – but really saw very little of the island. Thanks for the like. Your summer plans sound so idyllic! Don’t know much about the South West but if you’re looking for gins to try then Sacred gin (made in Highgate) is worth a go! Home again! 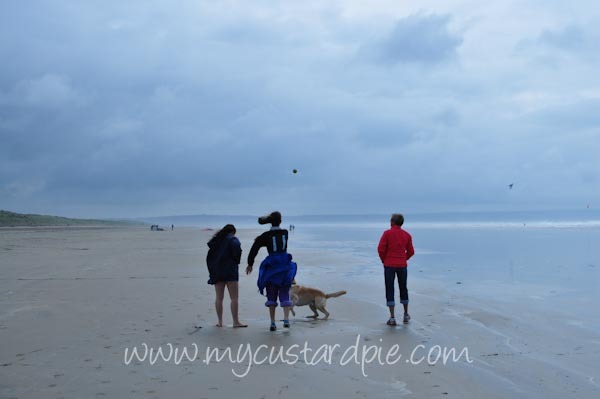 Wonderful plans – and the weather talk? Par for the course. I’m back again in the Netherlands after 2 years, and since we moved ‘home’. I totally feel you….have a great time Sally! Love your May food diary too! What a gllorious summer to look forward to 🙂 I must say, the novelty of having a REAL SUMMER this year in England has not yet worn off. Yes, the Tubes are hellish and sleeping at night is interesting to say the least, in houses resigned to retained every degree of Celsius that they can. But after the ghastly winter we’ve had – we deserve it! You certainly do – and I’m loving every moment of it. Glorious.